With cloud computing proving itself in major organizations, those who have managed cloud migrations have learned lessons that they can share with cloud newbies. Large organizations are warming up to the capabilities of cloud computing, cementing the technology as a trusted – not just trendy – standard for enterprise IT. The proof is in the budgets. According to Gartner, the amount of IT spend shifting from traditional to cloud services should hit $216 billion by 2020. From cost-savings to security, there are many reasons for a mass migration of applications to the cloud. But overhauling a corporate IT environment is not the type of change management exercise Fortune 500 companies are accustomed to. Unlocking the full promise and ROI of cloud migration hinges on following the right steps. What’s driving the cloud rush? The cloud is no longer an emerging technology. We’ve reached a cloud adoption inflection point, with some of the world’s most recognized names shedding data centers and legacy infrastructure. In 2013, the CIA partnered with Amazon Web Services (AWS) to build and maintain a cloud used by 17 intelligence agencies. The following year, GE announced its plan to move more than 90 percent of its applications to the cloud. Startups and industry disruptors like Netflix and Airbnb have embraced the “as-a-service” model for years. After a period of cloud avoidance and skepticism, business and IT leaders at established global organizations are changing their tune. The business case for cloud migration is increasingly clear. A recent study of “longtime cloud users” found that one in three reduced costs more than 40 percent at least two years after adopting the technology. Public endorsements by the likes of federal government agencies and behemoths like GE signal to even the most risk-averse executives that, yes, the cloud is a secure spot for sensitive data. Price and peace of mind aside, collaborations in the vendor space promise to make the cloud migration process simpler than ever. In late 2016, Amazon and VMware announced “VMware Cloud on AWS,” a partnership that allows VMware clients to run any application across private, public and hybrid cloud environments. 1. Lay your cloud foundation: Frontloading the migration effort with prep work is crucial to achieving results later on. To start, technical managers need to understand their organization’s existing IT model. If you’re in year one of a three-year managed service relationship, you’ll need to weigh the costs of breaking that contract against the benefit of migration. This is also the time to engage all relevant stakeholders from across your IT stack; the earlier you involve the right people, the sooner you can document governance for evaluating, migrating and managing applications. Most importantly, you’ll need to establish a security model for your cloud environment, defining tiers (based on criteria such as encryption at rest or in transit, and data that must be isolated from certain networks) that each application can be assigned to during migration. 2. Evaluate your applications: Deriving value from a cloud migration hinges on moving applications in mass, rather than piecemeal. This presents an opportunity to streamline your application portfolio and retire programs that are redundant, outdated or not worth the investment of ongoing support. Another factor to consider is application interdependencies: Before migrating any application to the cloud, you must know what systems it communicates with and collects data from, who accesses the program (and how), and whether or not it impacts any downstream systems. In most instances, highly dependent apps should be migrated as a group. Instead of manually combing through (potentially) thousands of applications, savvy IT managers should look to off-the-shelf tools that automate the application inventory, discovery and migration process. 3. Enforce your governance framework: Guaranteeing cloud security and ROI starts with properly enforcing your governance plan. When outlining their business case for migration, most managers include assumptions around budget, usage, and resource scalability. But post-migration, many IT managers quickly find they’re overspending and adding unnecessary computing power. In other words, not adhering to their original assumptions. From app usage monitoring tools to vulnerability assessments, there are ample solutions available to avoid these missteps. GE, for instance, developed a set of bots capable of gauging the efficiency of cloud applications, detecting when an application violates security or compliance standards, and automatically resizing servers to avoid excess capacity. Cloud migrations have a reputation for devolving into long, grueling marathons, but it doesn’t have to be that way. By outlining the right plan, assembling the right people and putting the right controls in place, migration can be a swift sprint. Charlie Li is Executive Vice President and Chief Cloud Officer responsible for Capgemini Group’s North America Cloud services portfolio and Cloud Strategy. He has spent 20 years in the technology innovation and business applications field helping customers optimize the business value of technology. In his 10 years with the Capgemini Group, Charlie has served as the head of global channels and technology ecosystems. 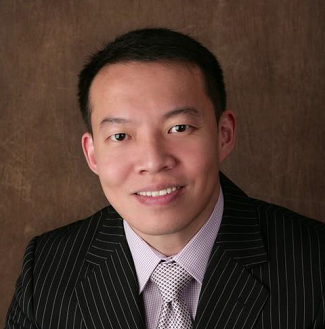 He also served as the head for Capgemini group’s North America and China application quality practice. Charlie joined Capgemini after eight years with Hewlett Packard and formerly Mercury Interactive Corp. Charlie is author of "Optimize Quality for Business Outcomes: A practical approach to software testing". He is also the author of Capgemini’s annual “World Quality Report”. 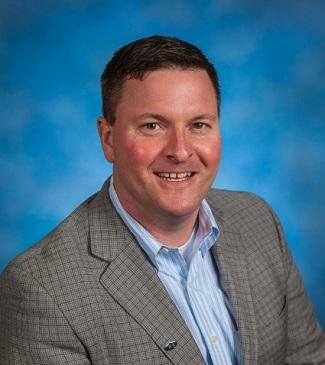 Jason Hatch is a Principal at Capgemini responsible for developing Capgemini’s solution portfolio for cloud services. He has been with the Capgemini Group for 15 years and served in several leadership positions in their cloud and SAP service lines. Jason has worked with some of Capgemini’s largest customers to define and execute their cloud transformation programs with a heavy focus on migrating enterprise workloads and cloud native adaption. 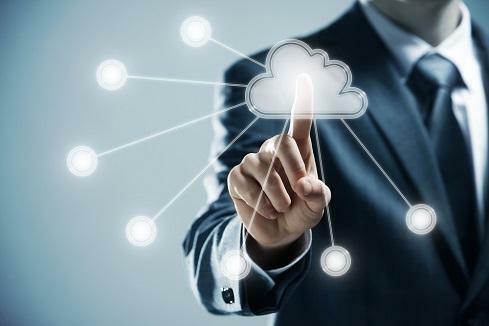 Moving to the cloud is widely considered a "must" and it is important to know where to begin. The initial move to the cloud should be viewed as an opportunity to start fresh wherever possible and move only what you have to. Consider replacing older systems with lighter, faster and less expensive options. Once decided on moving to Cloud, there are several factors to consider when choosing a cloud provider like Security, Availability, Performance, Monitoring etc. There are many providers in the marketplace. They all offer roughly the same availability and response time commitments and report back to their clients through scheduled governance meetings. But what does the provider offer you above and beyond basic services? What value-add do they bring to the table? How can they help you achieve the most from your enterprise application investment? Is private cloud on its way out and is hybrid cloud practical? 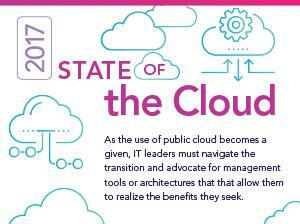 This infographic provides a snapshot of key data points from our 2017 State of the Cloud report.